3 main Armours Demonic Red, Heroic Blue and Balanced Gold. 4 new forces 4 new knights. We are fixing it to mirrored, new picture soon. I apologize for the lack of updates for this mod, but as none of you know my laptop with all my work for the mod on broke a few months back. But don't worry I still have a backup of the work, however I don't know how broke the code will be since Minecraft has updated too much since I last had the chance to work on it. I apologize for the long wait of this mod, but it enfuriates me more than it probably enfuriates everyone else. I should be getting a new laptop in a couple of months time. 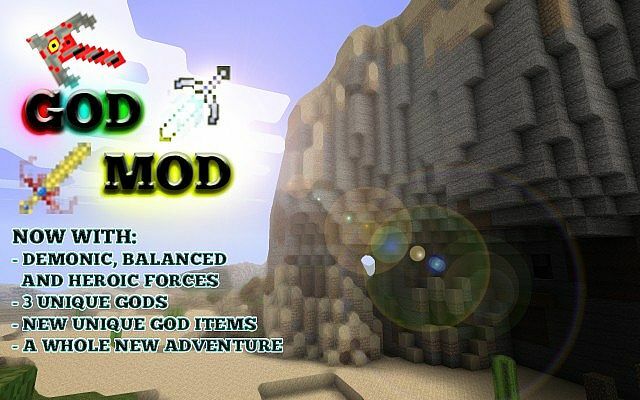 Me and my team are working on a new mod called 'The God Mod" basically what it is, is 3 new forces: Heroic, Balanced and Demonic. These 3 forces have 1 boss each, and you can fight them all. 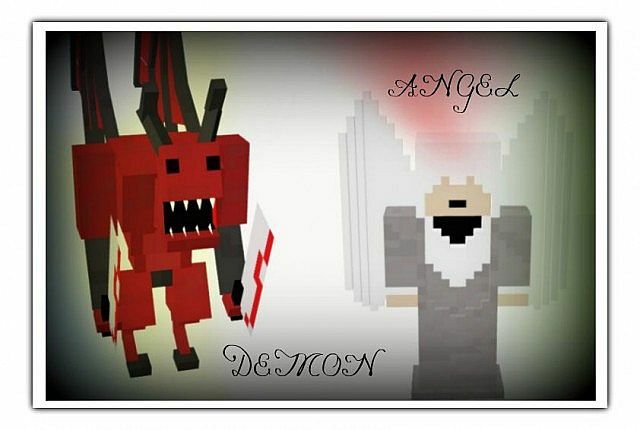 The 3 bosses will be located in 3 separate areas being Hell, Heaven and the Over-world and also will drop unique items such as Demonic Armour, weapons etc...there will also however be drops from smaller/easier God Mobs such as Demons and Angels which will allow you to craft other new God Armours, however much weaker than the Armours created from defeating God Bosses. There is also 4 new forces each with their own kingdom there's Crimson (red) there's Neon (blue), Shadow (green), and lastly Undead (yellow). These 4 kingdoms are at war with each other and knights of the 4 kingdoms will become aggressive on each other as they see each other around the map. It is your job to put an end to these wars of the Kingdoms by choosing which of two kingdoms to join, Neon Kingdom or the Crimson Kingdom as you kill the other Kings. The knights of the forces all drop shards of a sword, but to make the sword you need the handle, so to get the handle you need to find a ghoul roaming the lands at night. Still A LOT more to come but these are the basics. For many years the Crimson Kingdom and the Neon Kingdom have been locked in a feud ever since the battle of Kerrak. Kerrak was the last known King of all the over-world, however after his assassination it was down to one of his two younger brothers to take over, Clyath or Beroth. In usual cases the eldest brother would take the throne however Clyath and Beroth was twin brothers and a decision could not be made on who should become King of the over-worldso it was decided that the Kingdom shall be split in two: The Crimson Kingdom led by Clyath, and the Neon Kingdom led by Beroth. All was going well until both brothers became greedy for land, and started fighting for land locking themselves in an ever lasting battle. Later on aseparate Kingdom rose up also known as the Shadow Kingdom, the Shadow warriors are in-fact rebels from both Crimson and the Neon Kingdom who fight to try and put a quicker end to this war... but only make it worse. Finally the Undead Kingdom, the Undead Knights are in-fact cursed Neon Knights, this happened after a the Neon Kingdom betrayed a Witch who they came to for help in the battle of Kerrak, the Neon Kingdom betrayed the witch and were cursed with 1/2 children born in the Neon Kingdom to be born Undead. Credit JavaBuckets for teaching me how to code personally. (Assistant Developer), Ike for modeling the demon. I really... REALLY....Want to work on this mod again, but no laptop means no work, when I do get a laptop I shall attempt to do it all I guess. Cool mod, but the yellow text hurts my eyes o.o Maybe add wings that let you fly, but you have to flap to keep flying? Or a sword that creates custom lightning particles? (Maybe to make a special sword[Like demonic or angelic] where you have to use a divine forge where you can use angel blood or demon blood to make their suggestive blades. What do you mean? By the way the reason I can't upload this is because forge hasn't updated to 1.7 yet, so I don't want to release it on 1.6.4.
i cant download this the website never loads help?? I can tell this is going to be a good mod. That is a common question. the answer is in the description. Sorry about me not replying and carrying on this mod for a long time, I'm going to carry on with it now. Sorry about lots of comments but i just had idea (again) The King of each kingdom should have unique weapon and armour with damage/armour of slightly less/more than iron, each armour or weapon the kings have would be different looking for there groups Undead probs have Bone Handle with Metal Blade whereas Shadows might have Green Mossy Stone Handle with Metal Blade, Neon King with a Frozen Handle and Metal Blade and as for Crimson Handle is made of Netherack? and yet again Metal Blade. 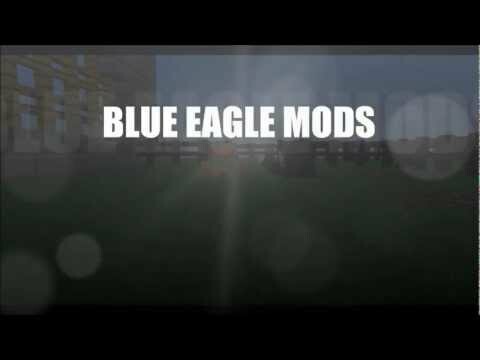 Hope you can teach me someday how to make mods. Earned a dimaond from me and that aint easy. I already am liking the looks of this, my general idea is if it isn't already planned or in the mod already is you could have altars in the overworld that have angels or demons at them. P.S The story was good too. is it already 1.6.2 or not ??? You still get a diamond, however. 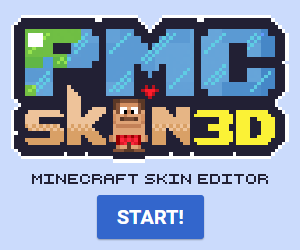 are you gunna include/suggest a specific texture pack with this? I'm never going to drop this mod, don't worry :) I just hate the fact that every time I do a lot there is an update that ruins my code. But I could never post something that I'd just drop halve way, I have put too much time and effort into it :). As for the texture pack, just the ordinary MC textures. Unless someone makes a cool texture pack to be used with this. (Or I make one, don't see the point in me making one for it though as I did most of the textures). when is the mod perfect finished or can someone explain were is the 35% or more for ??? Thanks! Is It Compatible With Mutant Creatures Mod? I don't know what modifications it'll be compatible with until the release, I can't promise anything. If you want to make a block you can PM my account. But I will not reply because my internets laggy, so PM me your email so I can email the textures. What are you on about? I can texture myself. Thanks but I already do all the textures and if not me either Deadshot or Azla do. Promo or picture of the Armours? Deadshot did it so I have no clue, sorry you could ask him. Can't wait till this is done, definitely going to do a mod review! It is a good mod but it needs updated to 1.5.1. WHOA, this is awesome. I can't wait until I can download it. I also can't wait to see it finished,now that would be REALLY epic!!!!!! I'm confused.... You say not out yet but there's a download link for it. Is it out and you haven't updated the text or is it just a beta/alpha or something? you can't post a mod without a download link. If it says not available yet and no download and the download doesn't give you any mod then it's not out yet. Can't wait for it to be released. Or has it already been released in beta? Hasn't been released yet, I'll think about it after I do the majority of pre-alpha.